Cancer is one of the leading causes of death for children in America, yet funding for pediatric cancer research has lagged. More than 20 percent of pediatric cancer victims do not survive, and they would benefit from more research. Caroline Symmes was diagnosed with Wilms Tumor Disease when she was just three years old. While the cure rate for Wilms Tumor is 90 percent, Caroline had one of the most aggressive cases oncologists had seen. There had not been enough research done on a tumor like hers because of lack of funding. As a response to their tragic loss, the Symmes family from Central Indiana is dedicated to raising funds through the Caroline Symmes Endowment for Pediatric Cancer Research at Riley Hospital for Children. 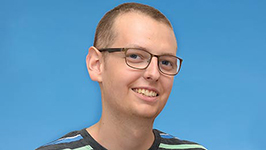 The Caroline Symmes Endowment for Pediatric Cancer Research will fund the only program of its kind in the world to address pediatric research for solid tumors. It has the potential to dramatically impact the funding dynamics related to solid tumor research in children. The Symmes family hopes that further research ensures that no other family will have to be in their position. September is designated as Pediatric Cancer Awareness Month, and in honor of this month and their daughter Caroline, the Symmes family is hosting several events in the Indianapolis area to raise funding and awareness about the need for pediatric cancer research. Thursday, Sept. 4 at 12 p.m. Families from Riley Hospital for Children will participate in this free one-hour yoga class. Sunday, Sept. 7 at 6:30 p.m.
Former NFL players will attend this event, which includes a cocktail party and silent auction. Jeff Saturday, a retired center for the Indianapolis Colts, will speak via a live feed. Proceeds from this annual tournament go to The Caroline Symmes Endowment for Pediatric Cancer Research to benefit Riley Hospital for Children. 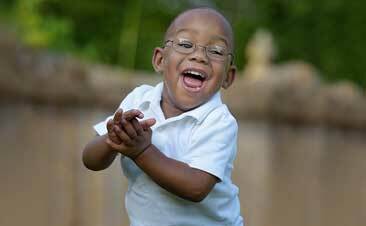 Thursday, Sept. 25 at 10 a.m. – 6 p.m.
Friday, Sept. 26 at 10 a.m. – 6 p.m.
Saturday, Sept. 27 at 10 a.m. – 3 p.m.
Caroline Symmes was a five-year-old fashionista who loved clothes and anything pink. The Pink Label Event is a consignment sale featuring women’s, children’s and men’s clothes and accessories. 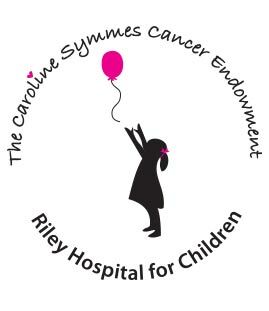 People can also support the Caroline Symmes Endowment for Pediatric Cancer Research and find more information about events at http://www.carolinesymmes.org.